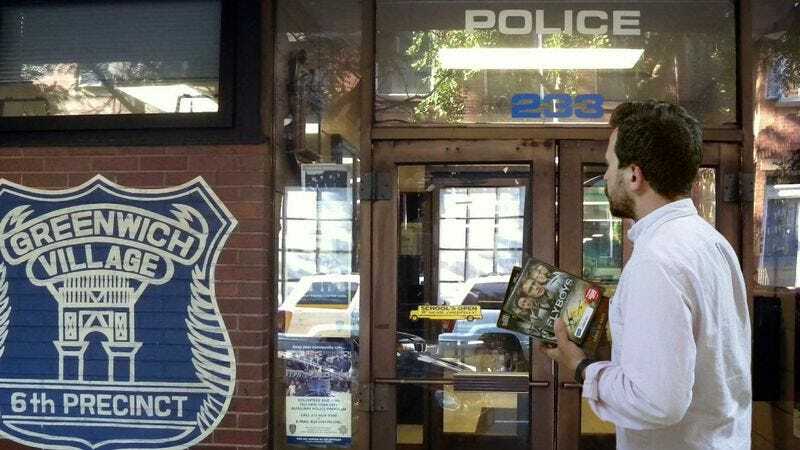 NEW YORK—Determined to reduce their devastating impact on the local community, the NYPD announced a new amnesty program Wednesday permitting New Yorkers to dispose of their DVDs anonymously and without consequence. “Over the next week, any DVD—from teen horror flicks, to superhero sequels, to two-disc director’s cuts—can be taken to your local police precinct or any of the designated drop-off locations throughout the city, and we will take it off your hands, no questions asked,” Police Commissioner William Bratton told reporters, noting that in its first few hours, the department had already taken several hundred copies of The Lake House off the streets. “We don’t need to know how you got a copy of Wild Wild West, or how many times you’ve watched The Chronicles Of Riddick; just leave them with us and we’ll make sure no one ever uses them again.” The NYPD program comes on the heels of a successful buyback initiative in Philadelphia, which hasn’t reported a single incidence of Patch Adams since March.